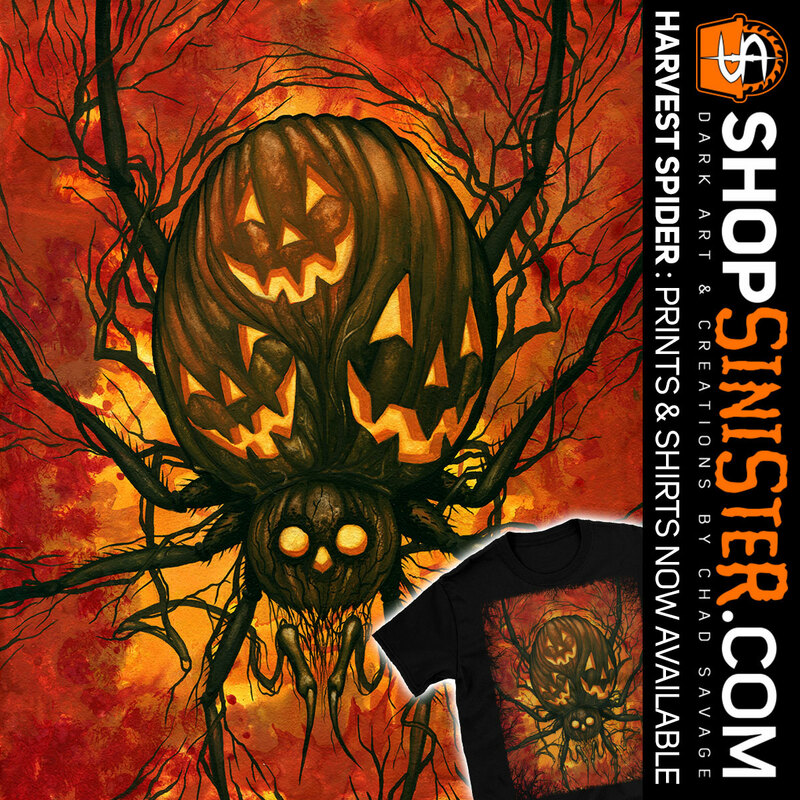 Sinister Visions News and Updates: HARVEST SPIDER Art Prints & T-Shirts Now Available at ShopSinister.com! HARVEST SPIDER Art Prints & T-Shirts Now Available at ShopSinister.com! My newest painting HARVEST SPIDER is now available as signed/numbered prints as well as t-shirts - get'em at http://www.shopsinister.com! Harvest Spider was created for the "Something Scary! An Evening of Macabre Arts & Entertainment" coming up soon at the Cigar Factory in Allentown, PA.